For One Piece's 20th anniversary, comes the One Piece Going Merry Memorial Color Ver. Grand Ship Collection Model Kit! Recreate the ship sailing through the ocean with the new wave effect parts. 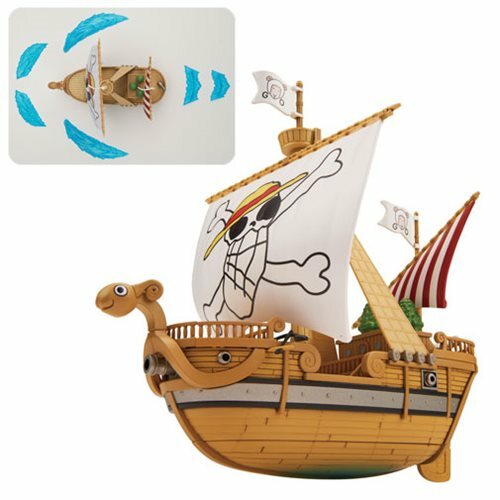 You can even recreate the terrible Straw-Hat pirate drawn by Luffy on the sails using the included sticker decals! Set includes 1x wave effect parts. 5x Runner. 1x Sticker sheet. 1x Marking sticker sheet. 1x Character plate. 1x Instruction manual.